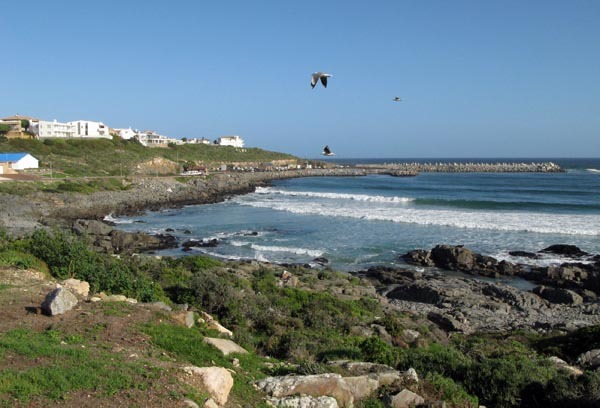 This 31 km stretch of coastline has 18 bays, 3 harbours, beautiful beaches and wonderful sea, bird and wildlife. 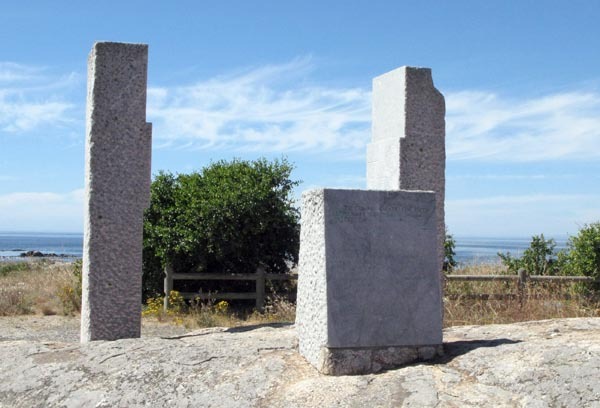 It is also one of only three natural bays on the world’s mainland coastlines where one can view both sunrise and sunset over the sea. 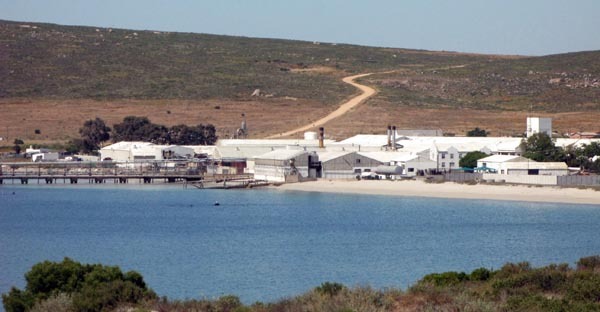 St Helena Bay has the highest concentration of fish processing factories in South Africa and the crayfish industry was set up in 1915. It is difficult to know exactly where one town ends and the next one starts but it is a great area to enjoy whale, dolphin and birdwatching, kayaking, fishing, hiking, surfing and sailing. 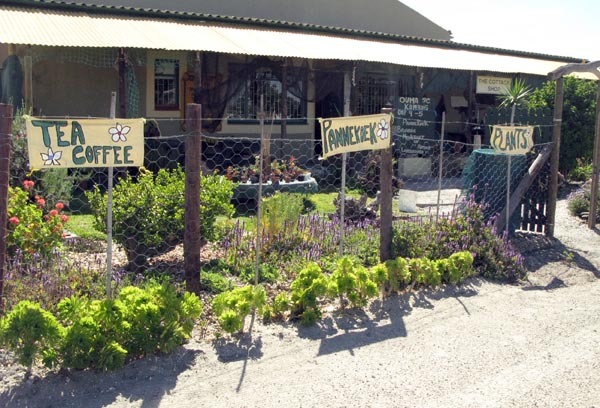 Driving back along the coastal road form Shelly Point towards Velddrif the first palace you come to is a fishing village with the quaint name of Stompneusbaai. 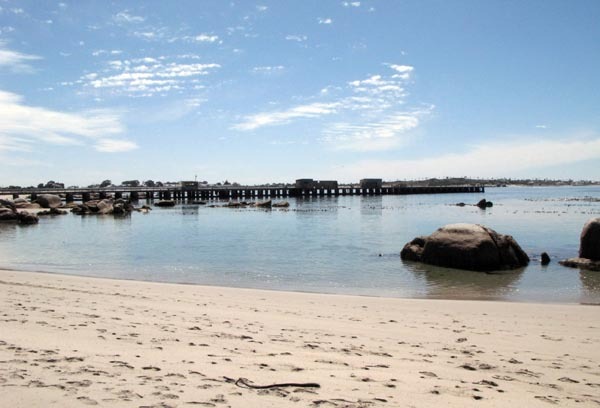 (Stompneus refers to a type of fish that is abundant in the west coast waters) In fact you can see Stompneusbaai from the northern side of Shelly Point. Stompneusbaai as seen from Shelly Point. The gravel road is the direct route to Vredenburg and there is also a turn off that goes to Paternoster. 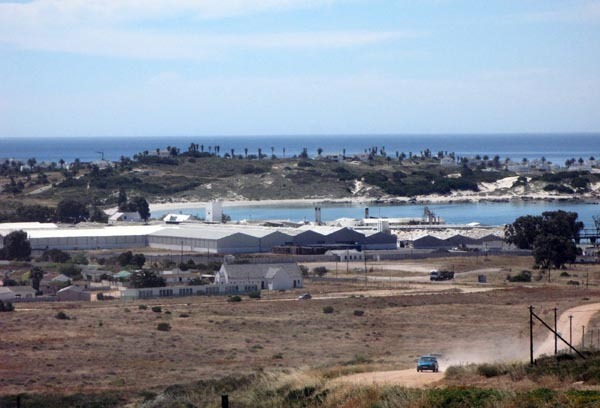 A shot of Stompneusbaai, with Shelly Point in the background taken from that gravel road to Vredenburg. Portuguese explorer Vasco Da Gama landed in St Helena Bay in 1497. 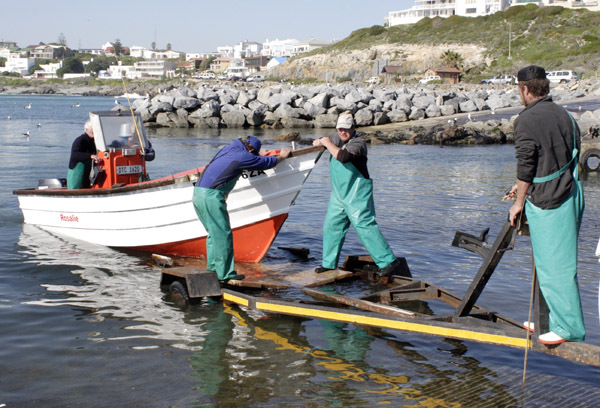 The bay, know locally as ” Die Agterbaai”, is one of the worlds prime fishing centres which provides a livelihood for the local inhabitants. 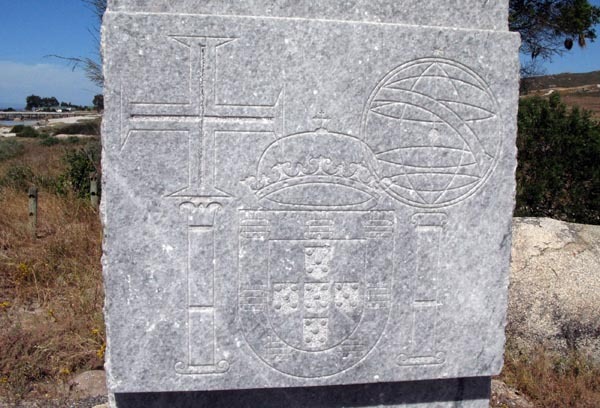 A granite monument to Vasco Da Gama. It would be fascinating to find out the meaning of the etchings in the granite. Another view of Stompneusbaai from the beach. 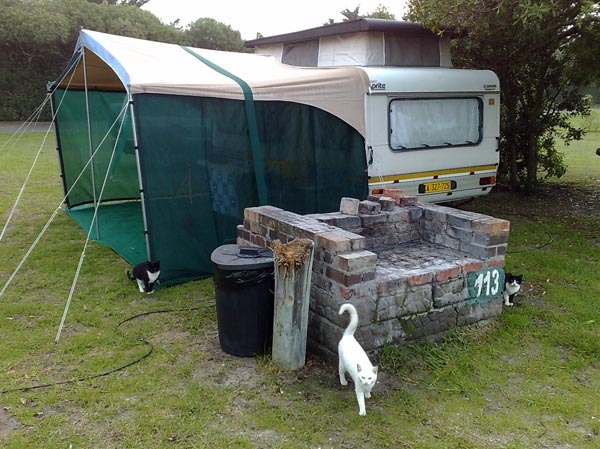 I had heard that there were some caravan parks in the bay area and did eventually find 2 of them. The one is near Stompneusbaai and I went and had a quick look. I think a picture in this case is worth a thousand words. The entrance to the Midwest Caravan Park. This park has got to be the worst I have seen on my journey thus far. 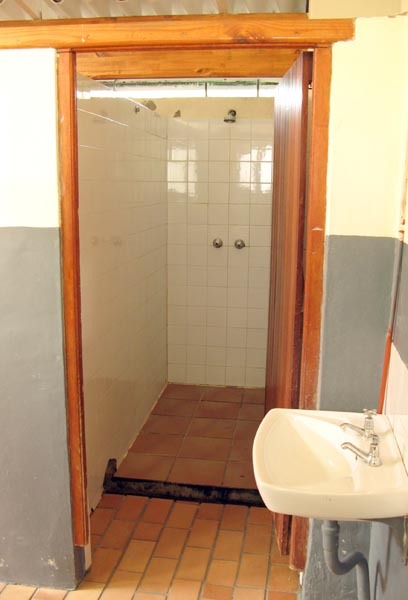 The ceiling of the showers in the ablution block were so low that I would have had to shower on my knees. Houses on the mountain side over looking the bay. 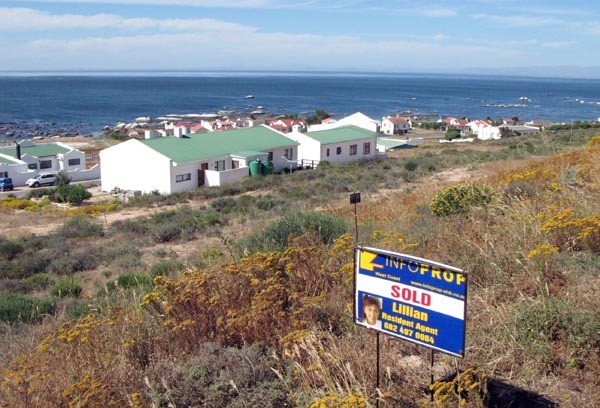 Plots for sale overlooking the bay at St Helena Bay. 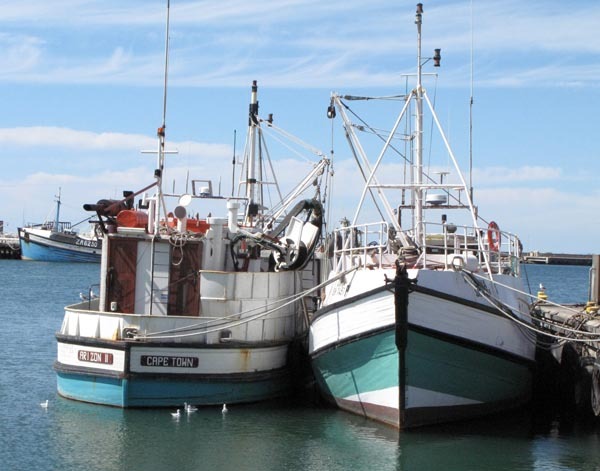 Fishing boats in the St Helena Bay harbour. View of the harbour from one of the hill side developments. There is a lot being done in the Maricultural Industry. 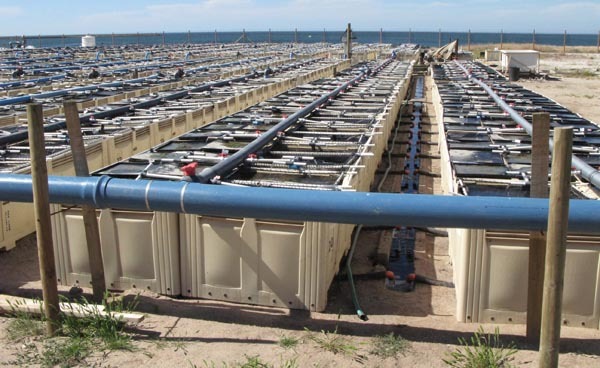 I believe these are Abalone tanks. 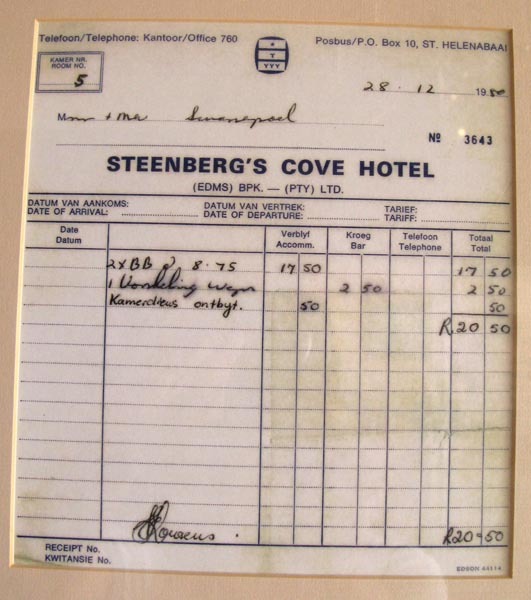 I got a bit confused as many years ago I spent a night at this hotel but then it was called Steenberg’s Cove Hotel. 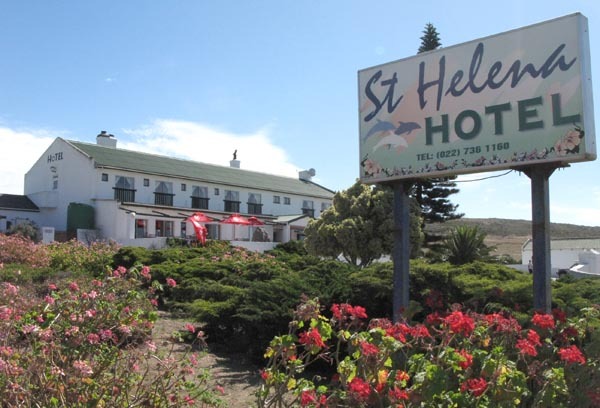 St Helena Hotel Caravan Park. The other caravan park in the area is part of the hotel and is quite difficult to spot from the road. If I had found it earlier I would have spent a few days here while I explored the region as it looked pretty good. Nice grass stands and a reasonable ablution block. 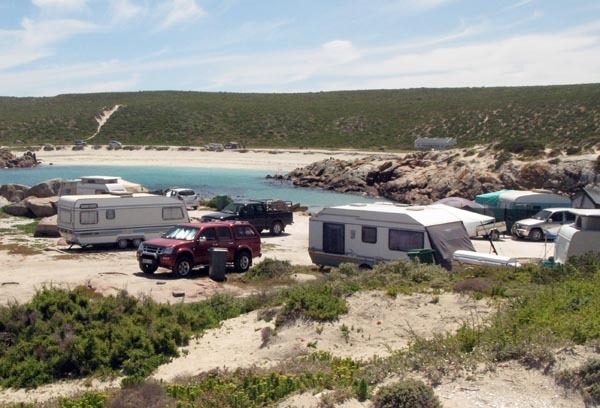 A few km’s south of Paternoster, in the Cape Columbine Nature reserve which covers an area of 263ha along the rocky coast and was declared a nature reserve in December 1973, is the famous Tietiesbaai. I have no idea where the name originates from and nobody I spoke to could enlighten me. One thing I do know is that it is a truly beautiful place to visit and spend time just relaxing and communicating with nature. 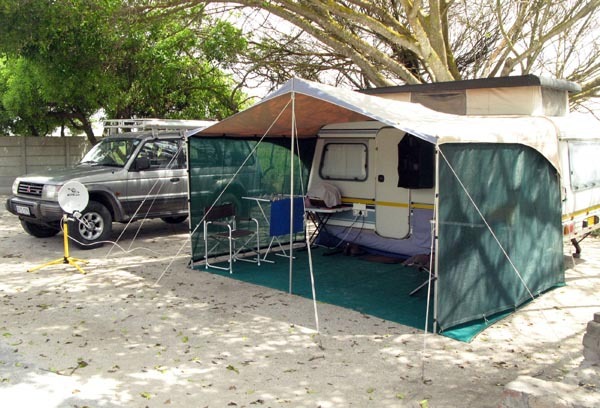 It is also a camping and caravan location (I hesitate to use the word caravan park) with no electricity and a very limited supply of solar heated hot water for showering. The hot water supply is fairly new and for many years you could only have cold showers. The bay is incredibly well sheltered and on the day I was there is was blowing quite hard and the sea outside the bay extremely rough and yet the water in the bay was clear and calm. Campers on the other side of the bay. The are no demarcated official sites and it is first come first served. Find a spot you fancy and set up camp. 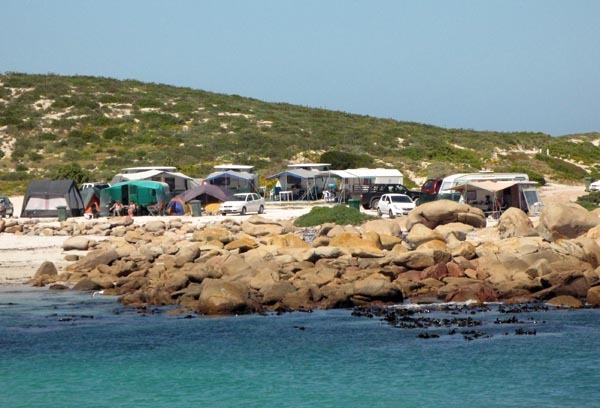 In spite of the fairly bad dirt road to Tietiesbaai there were quite a few caravans. I noticed that at least one of the caravanners had brought along a generator which must have been pretty noisy for all their neighbours. Most were staying in tents. I believe that during the December and Easter holiday season the place is packed. The ablution blocks were pretty rudimentary and it was only recently that solar heated water was installed. Judging from the size of the tanks on the roof not to many people would have hot showers. One last shot looking back at the beach from the main camping area. 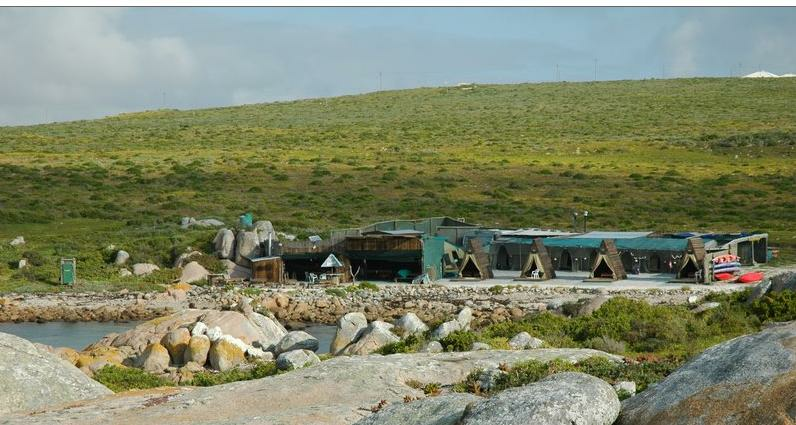 I have to make an admission here and say that I did not go to the next place I am going to show as it was only after I had left the area that I heard about The Beach Camp also situated in the Cape Columbine reserve. The Beach Camp’s tents and wooden A-frame huts have beds and pillows so all you have to bring is your own sleeping bag or duvet. 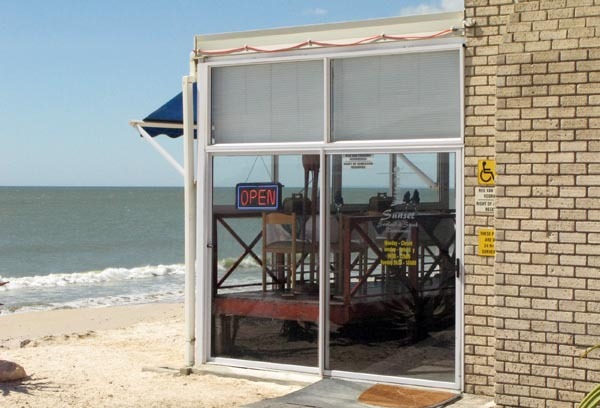 There are hot showers and cooking facilities although they can supply meals including their fabulous seafood dinners. 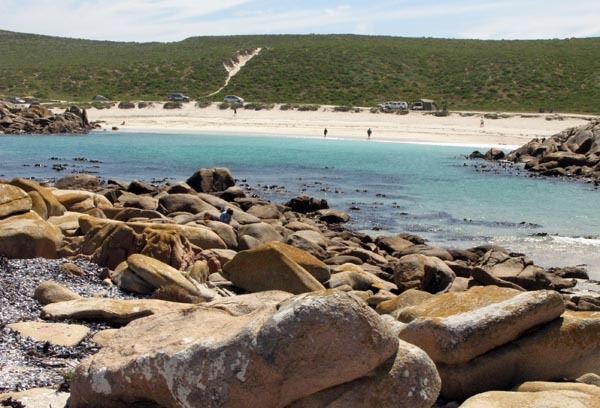 The area is also one of the best sea-kayaking venues (weather and sea permitting) in SA with plenty of seals, dolphins, whales and spectacular bird watching opportunities. 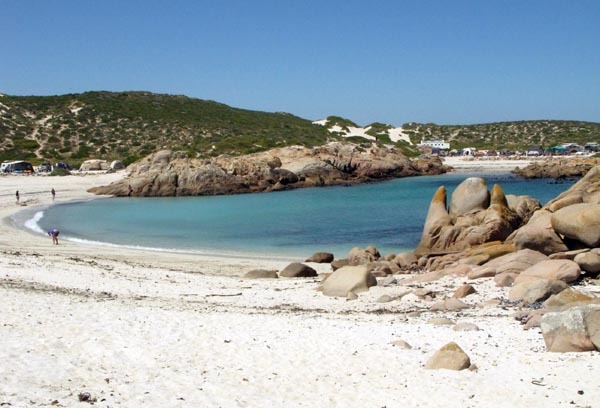 Cape Columbine is a prominent headland 5 km’s from Paternoster. 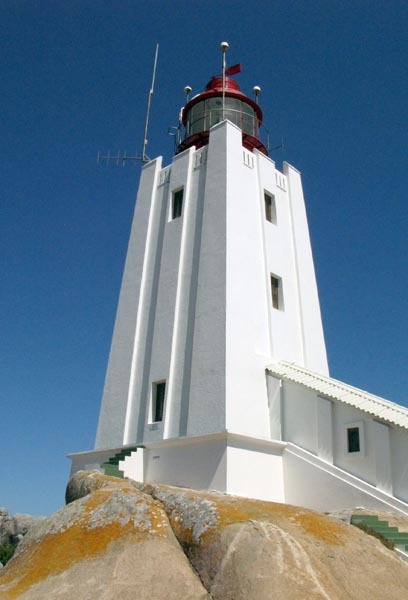 The lighthouse, the last manned lighthouse to be commissioned in South Africa and built on Castle Rock, is the first to be seen by ships coming from Europe. 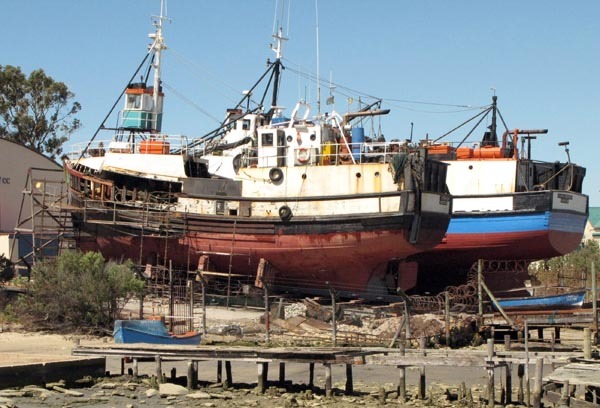 It was established in 1936 and derives it’s name from a British wooden ship, the Columbine, that was wrecked there in 1829. The light stands at a height of 80 meters above the sea and casts a beam that can be seen from about 50km’s away. 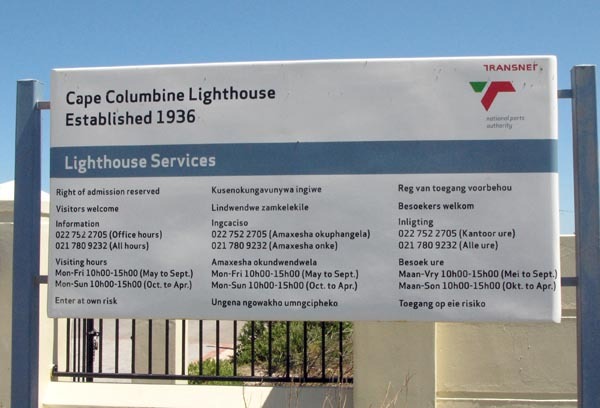 I was amazed at the number of cars parked at the lighthouse and thought it must be extremely popular. It was only after wandering around for a while, and nearly helping myself to what I thought were free drinks, that I discovered that a wedding reception was about to take place and that they were waiting for the bride and groom to arrive. The missing bride and groom having their photographs taken o the beach. Bumped into the happy couple on my way back to Paternoster and found out they were both from Vredenburg and the photographer ex Vredenburg and now living an working in Cape Town. 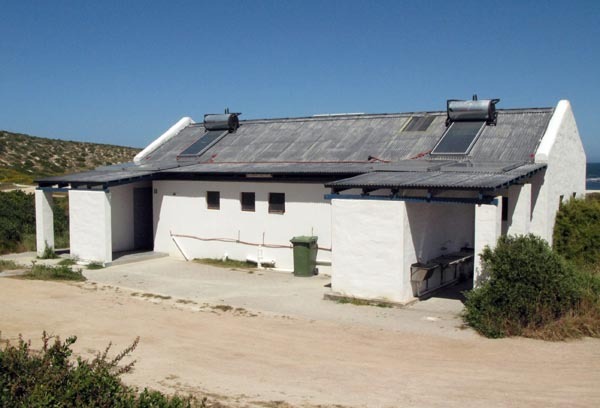 My next post is going to be from one of my favourite places , Paternoster, and I will be able to do some comparisons as I went there on quite a few occasions about 40 years ago. 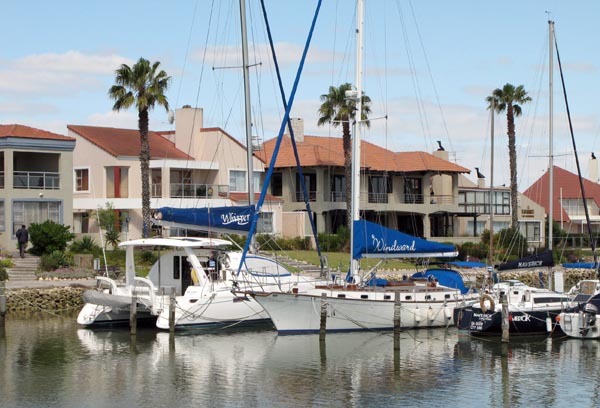 The Port Owen Marina, an upmarket retirement and holiday development, lies on the Berg River between Velddrif and Laaiplek. 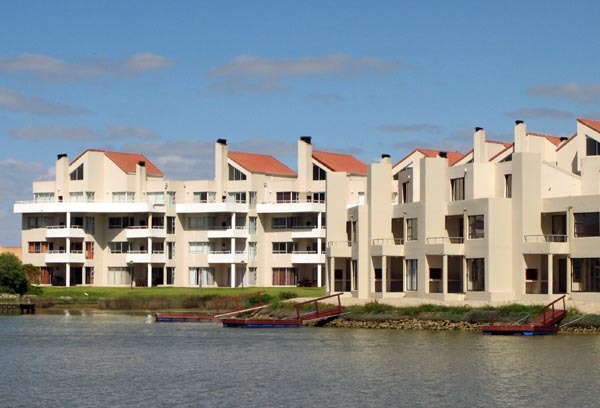 The marina was established on a vlei and a network of canals were built to give boats access to both river and sea. The marina also includes Admiral Island which can only be accessed over a linking bridge via a security entrance. 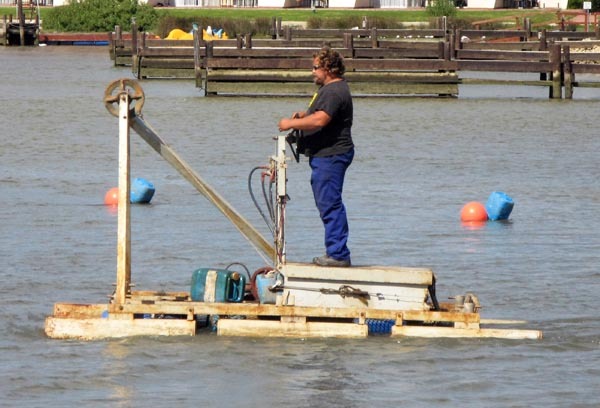 Many owners of the upmarket villas have their own yachts and this has ensured modern and safe moorings, a harbour and a slipway with a hoist capable of lifting boats of up to 10 tons out of the water. 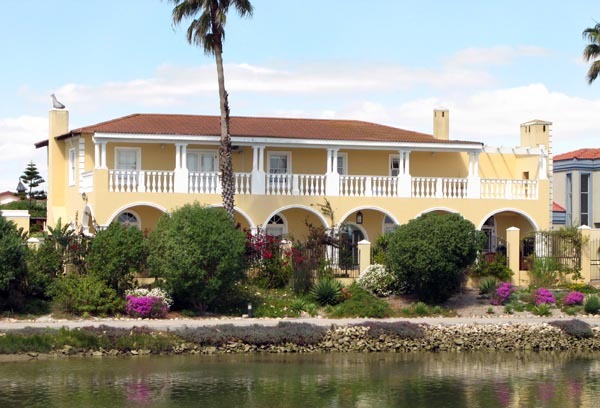 One of the many large houses at Port Owen. You can step out of your house and straight on to your yacht or motor boat. 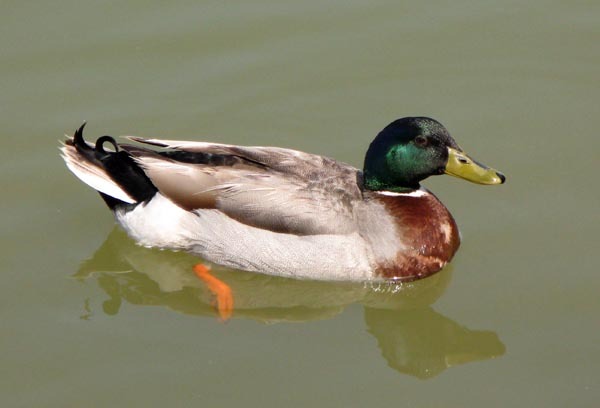 Spotted this friendly duck who didn’t need a boat to navigate the canals. 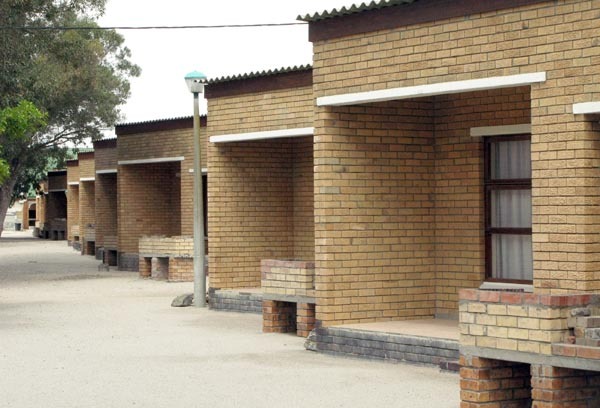 One of the housing complexes at Port Owen. Working on the dredging of the canals. 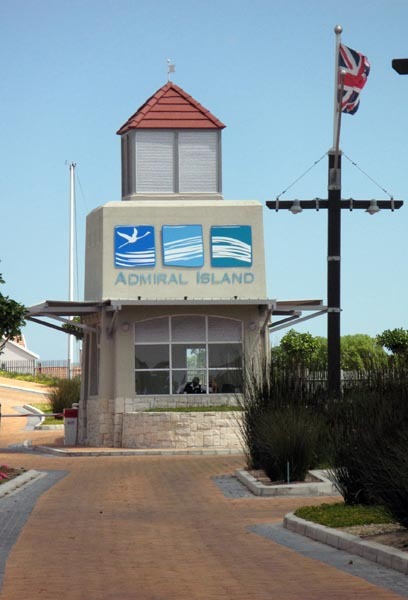 The security entrance to Admiral Island. 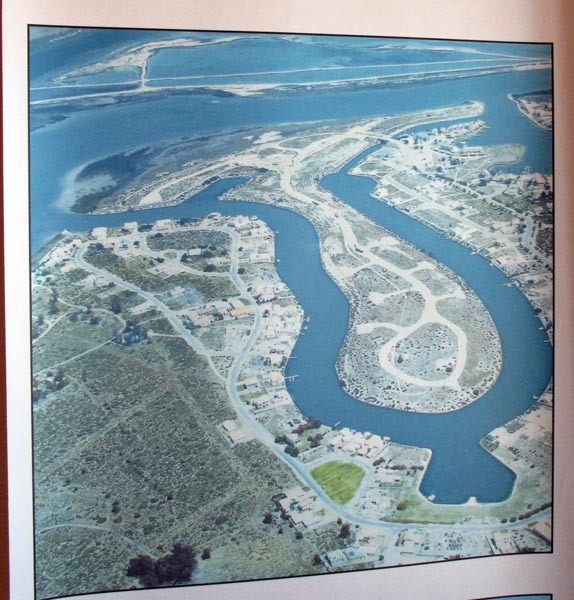 Admiral Island in the middle surrounded by the Port Owen Marina. Charter boat for birding trips on the river. Late afternoon there are boat trips along the river and many water birds can be seen in the reeds. The area is especially famous for its Pelicans. Heading west out of Port Owen you soon arrive in Laaiplek. 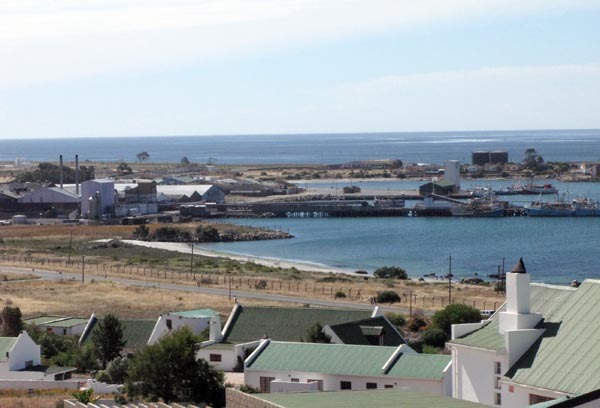 The town was bought by a Carl Stephan from Theunis Smit and was originally known as Rooibaai (Red Bay) apparently for the beautiful red hues reflected in the bay by the setting sun. Laai is Afrikaans for load and the town takes its name from the point on the river where boats were loaded and offloaded of their goods. 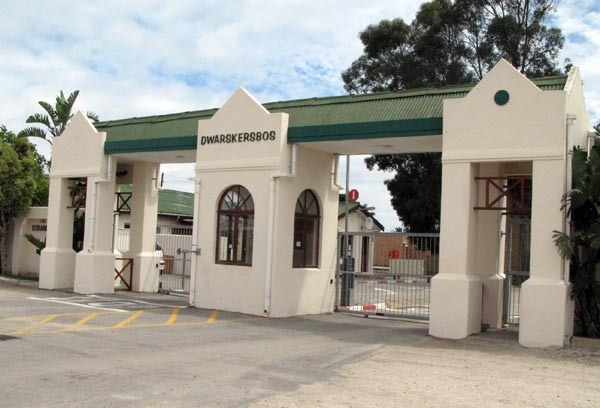 It is situated where the Berg River enters the Atlantic Ocean and it is from here that the larger fishing boats leave to trawl the ocean and return with tonnes of fish for processing in the local fish factories. If this was a house for sale they would call it a “fixer upper”. Gave myself a treat and bought some grilled fish here. It was delicious. Fascinating shop on one of the side streets. 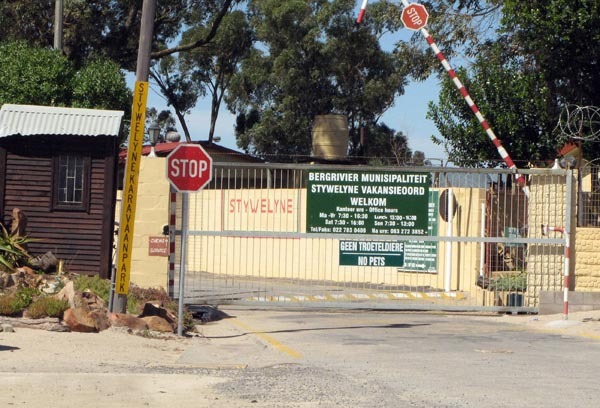 Entrance to Stywelyne Caravan Park in Laaiplek. Went and had a look at the caravan park and it was not too bad. 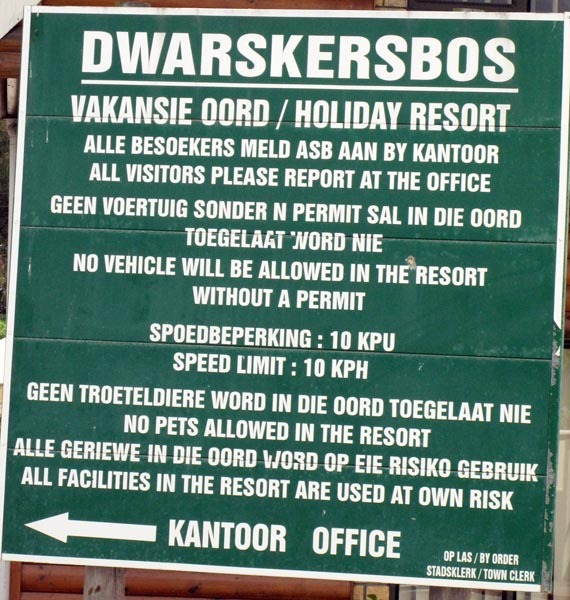 Still I am glad I stayed at Dwarskersbos. 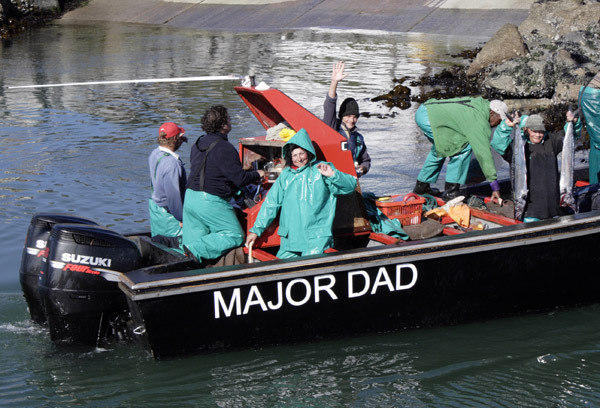 This stretch of coast offers spectacular boat and land based whale watching and each spring Southern Right Whales put on a great show of breaching, lob-tailing and blowing and sometimes come in as close as 10 meters from the shore. 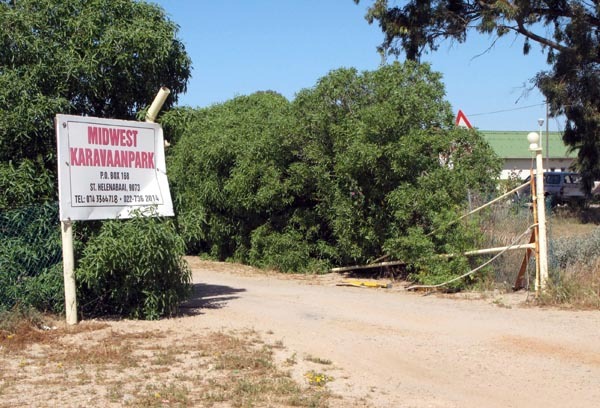 I wanted to call this post Dwarskersbos Caravan Park but to be honest there is not one sign anywhere that says caravan park, in fact I drove past the entrance 4 times before I found out that this was the caravan park. The entrance to the resort. There is no sign that informs you as to what is behind those gates. Information board next to the office. What I don’t understand is that it says no pets and yet there were 2 dogs allowed, one being the yapping little pooch next to me. Actually I think the owners made more noise than the dog by shouting and screaming at the poor thing continuously. Lay out of the resort. 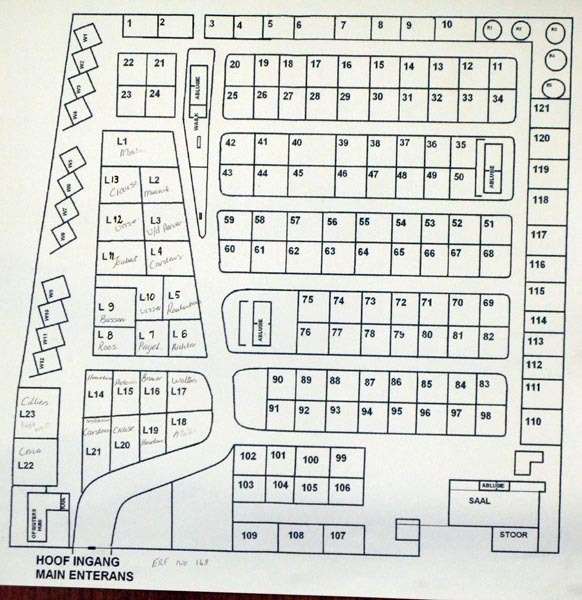 There are 121 camping sites, 5 rondawels, 12 chalets and also 23 holiday type houses on 99 year lease hold. 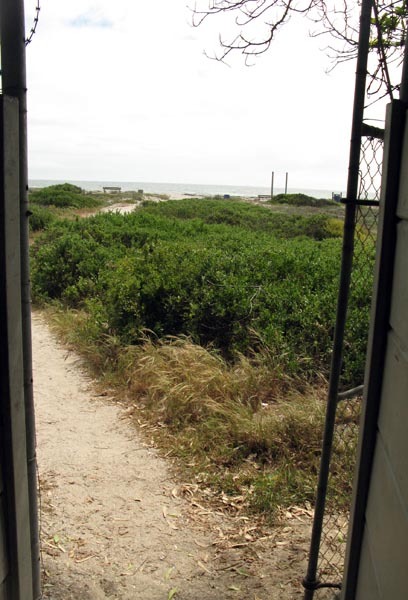 Sites 1 to 10 are closest to the sea in fact the gap between sites 2 & 3 is a gated entrance which is keep locked at night. The security gate leading to the beach. Security is pretty good but I think they need to sort out some method of keeping the gate locked during the day – maybe keys for people staying there – to stop anyone from walking in from the beach. My set-up from Monday to Thursday. My set-up from Friday to Sunday. I could not believe it when I got back to camp on Friday afternoon to find 2 tents, 4 adults, 2 young children and a very yappy little dog on site 3 right on top of me, bearing in mind there were about 90 other sites they could have chosen. It has been painful to say the least. The shouting and screaming at the poor dog, the smoke from the fire blowing into my caravan and one guy snoring so loudly it sounded as though he was in my caravan. One of the 99 year lease hold homes. They can only stay in them for 10 months of the year. 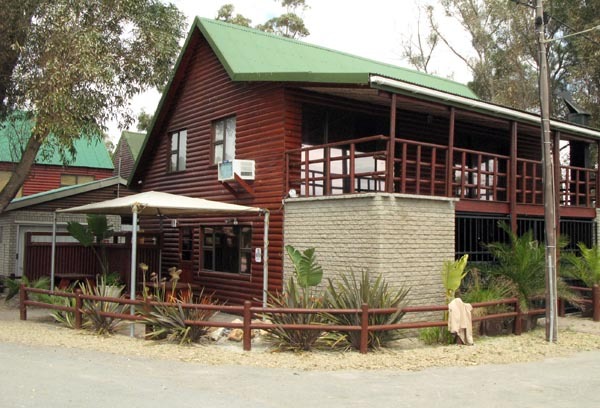 The chalets don’t look to bad and range in price from R261.00 out of season week days to R450.00 in season over weekends. There are also luxury chalets which are about 50% more expensive. 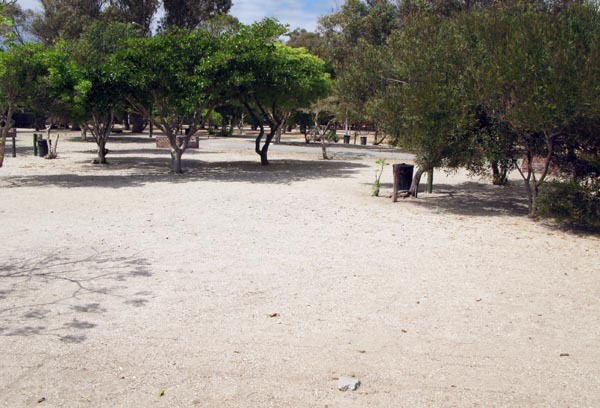 None of the sites are grassed, just hard sea sand, but do have trees for shade. 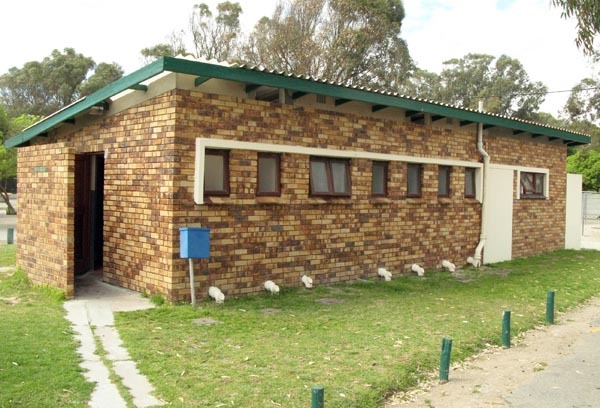 One of three smallish ablution blocks. 2 toilets and 3 showers. One of the showers. No lock and nails for clothes hooks but pretty clean. I was surprised to see quite a few of the people staying in the chalets, which have their own toilets and baths, making use of the campers ablution blocks and making quite a mess. 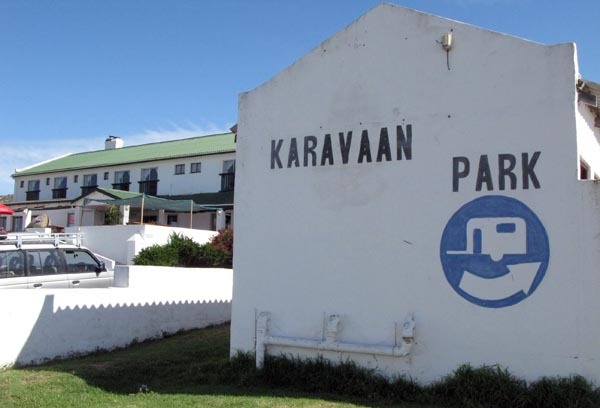 Overall I would give the caravan park a rating of 3 out of 5 but at R107.00 per site per night it is not that cheap. There is a new manager,Fritz, who has only been there 4 months and from what he has said to me I think there will be improvements in the future. 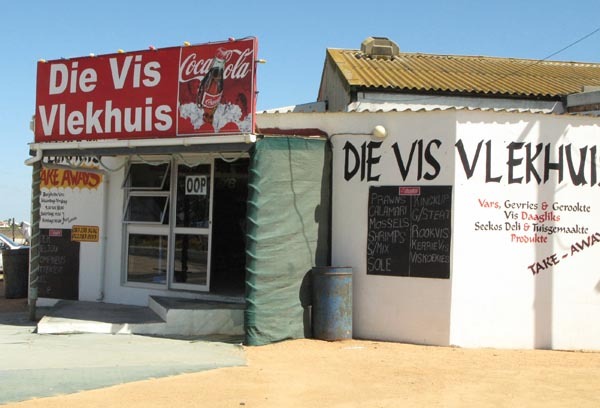 I spent about a week in Yzerfontein and stayed at the caravan park which is situated on the northern side of the village. This was one of the better sites I have stayed at and is also next to the main beach. My set-up and some of the local cats. Most days I walked across the beach, through the village, and down to the fishing harbour and spent time chatting to and taking photographs of the fishermen and their boats. They were all professional fishermen and from what I saw and heard they live pretty tough lives as there are many days they can not go out or times when the fish are just not biting. A view across the bay to the harbour. 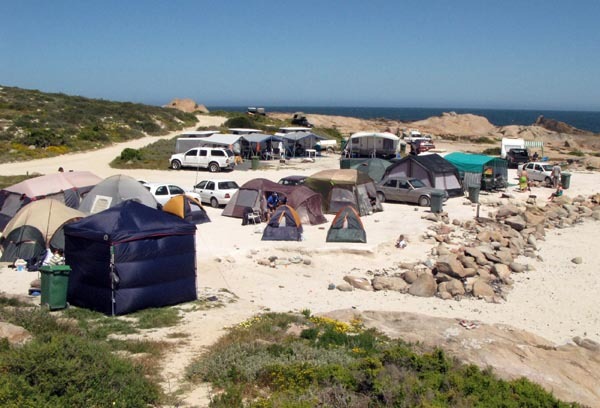 The one crew I met up with were camping at the caravan park and were all from Gaansbaai on the south east coast near Hermanus. 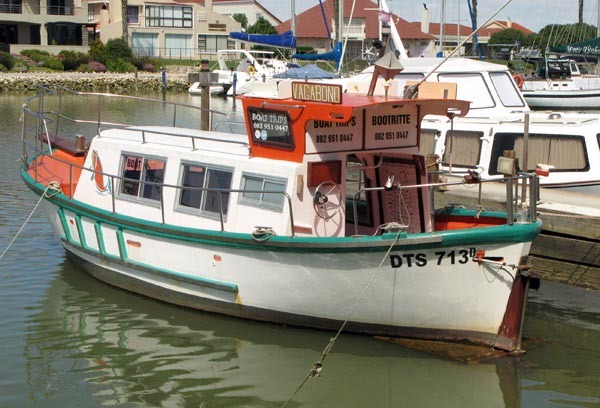 They ranged in age from early 20’s to the skipper and owner of their boat, Rosalie, who was 63. 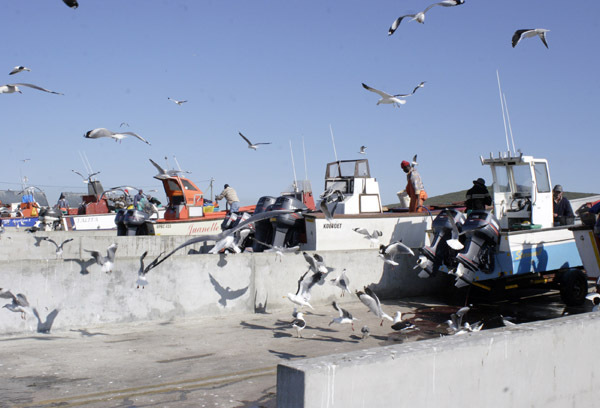 They had come through to Yzerfontein as they had heard that the snoek were running big time and the fishing in Gansbaai was poor. 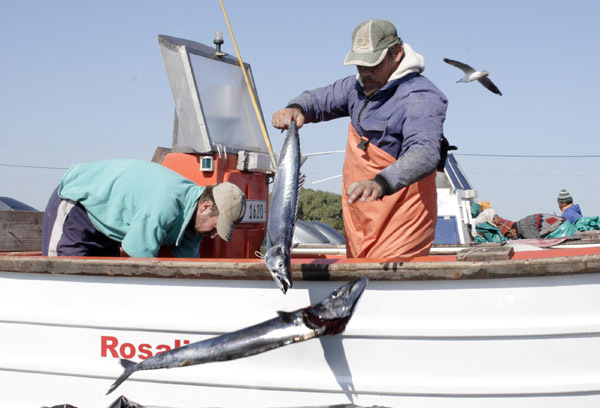 The crew of Rosalie with some of their catch. They went out at about 6 every morning and would would come back at about 2 in the afternoon. 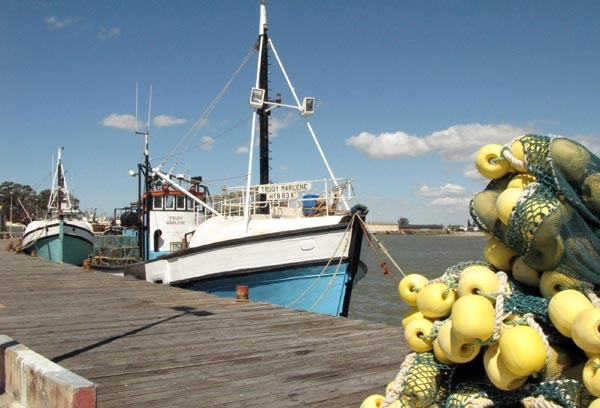 Once back at the harbour it was hitch the boat and then off to find a buyer for the catch. 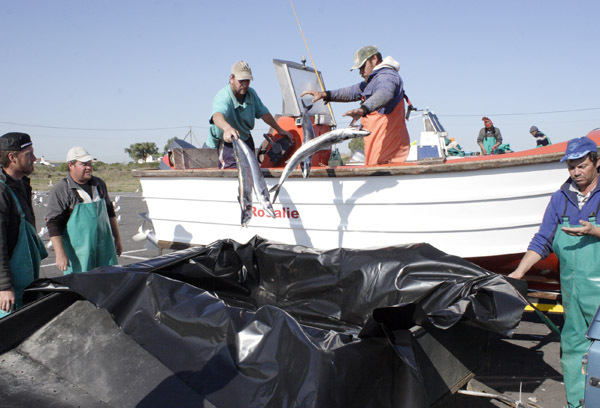 They were catching upwards of 200 snoek everyday and found a buyer who was also from Gansbaai. They were fortunate in that the buyer would take the full catch everyday. Even after the catch was off loaded they were not finished for the day as the boat had to be cleaned. 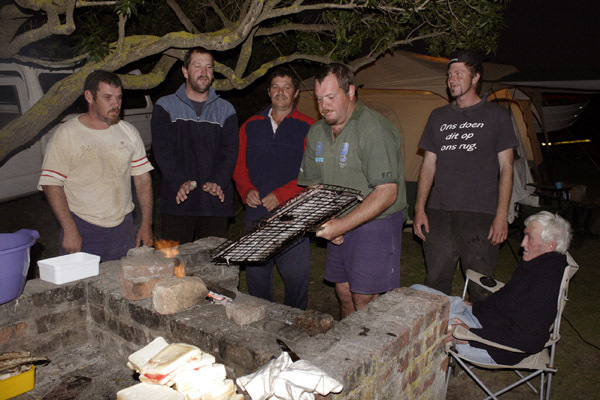 One thing I can tell you is that these guys known how to cook snoek on an open fire as they kindly gave me a piece to sample. It was delicious. Have a close look at the person nearest to the camera. 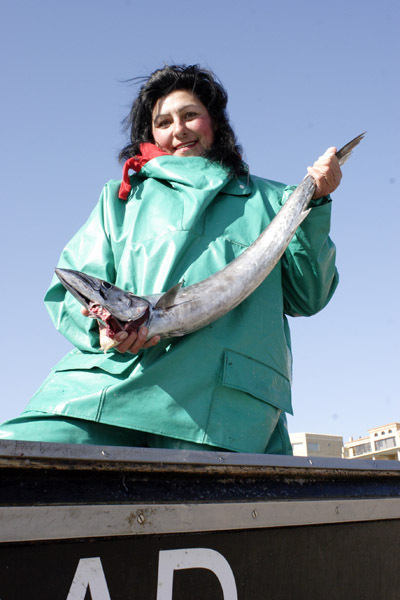 Yep that is a woman and one of very few that go out on the boats and catch snoek. 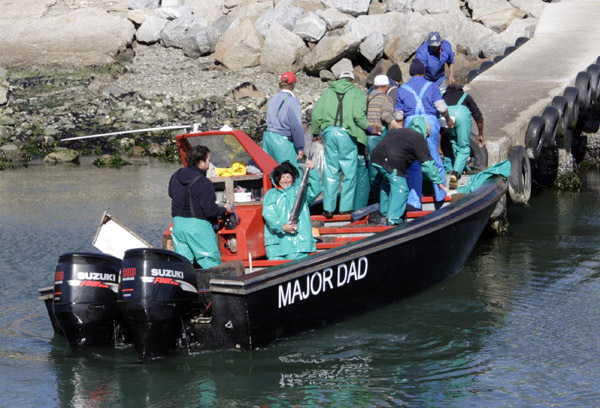 Nine months ago Alida had been working as a pharmacist in the Gauteng area but was now working full time as a professional fisherman and from what I was told was darn good and held her own against any of the men on the boat which was named after the TV series. Alida with one that didn't get away. As I said in my previous post Yzerfontein it is definitely one of my favourite spots and I am going to go back there to complete my journey down the west coast of South Africa and am hoping that I might be lucky and get some good photographs of whales to share with you.